Apple announced a brand new version of its all in one desktop called iMac Pro. According to Apple, This new product is supposed to be a “The most powerful Mac ever”. Apple says, The new iMac Pro will come with 8-core Xeon processor, with configuration that scale up to an 18-core Xeon processor, as well as up to 128GB of EEC RAM, 4TB of SSD storage and Radeon Vega discrete graphics cards with up to 16GB of memory. New iMacs will be able to handle double the RAM of last year’s models, and the Fusion drive is standard on the 27-inch model, with storage up to 2TB. The design of 21 inch and 27 inch iMac hasn’t changed beyond improvements to the quality of the display, the new iMac Pro, when it arrives, will have a new, darker, look shrouded in a Space Grey case. All the new 21 inch and 27 inch iMacs will feature New Intel Kaby Lake processors. The non-Pro iMac models will get Kaby Lake processors running at up to 4.2 GHz or 4.5 GHz with Turbo Boost. 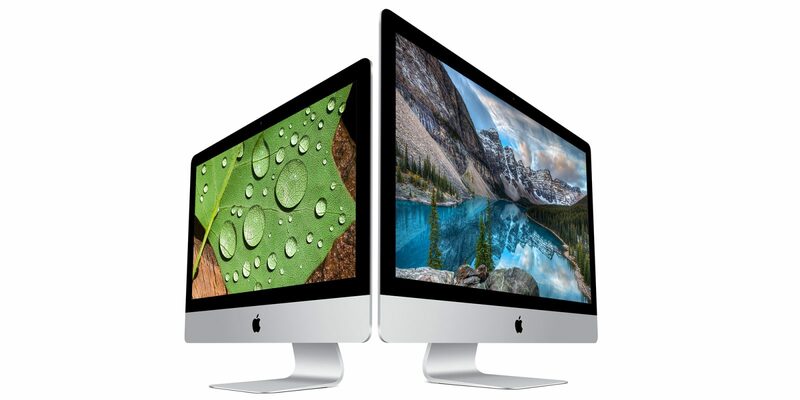 The 21.5in iMac will come in a standard and 4K screen variant, with Iris Plus 620 graphics and a choice of Radeon Pro 555 and 560 discrete GPUs. The iMac Pro will start at $4,999 in the US and will be available in December.